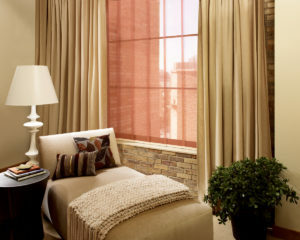 When you are searching for window coverings in Haverford, PA, it is essential that you consider both style and budget. Some homeowners are surprised to see the price tag on the blinds or shutters they want in their home. Here at Blinds and Drapery Showroom, our goal is to help you access these high-quality products without breaking the bank. Design matters because it will impact the overall appearance of the windows. If you are investing the money into new products, then it makes sense that you should spend the money necessary to make it look good. You can choose from different styles that we offer, including blinds, shutters, and shades. There are pros and cons to each of these designs, so our team will talk to you about your individual needs. One of the best ways to choose the style that you like is to look at other examples around you. There are many pictures online helping you to see the way your preferred design might look in your home. Additionally, we offer many products that you can see in our showroom. It is easier to make the decision when you can see the window coverings and feel the materials. Cost is an important factor for many homeowners. Do you want to improve the quality of your window coverings, but you are worried about the cost of the project? The best thing that you can do is consider your options, then set a budget and stick to it. Even though you will need to invest money into the window coverings, many homeowners experience a long list of benefits after the coverings are installed. These products will improve the overall appearance of your home. Additionally, you will see that it is easy to open and close the new shutters or blinds. If you have a set budget for your shades, blinds, or shutters, then we invite you to discuss this information with a member of our design team. We help you choose the products that best match your requirements. At the same time, you will be able to choose the materials that fit within your price range. Additionally, you don’t have to worry about gimmicky sales tactics. Our goal is to be upfront about the prices and products. You will receive full information about the cost of the window covering installation, without the worry about extra costs. You will get access to the highest quality products in the industry at best possible prices that are available. From the moment you walk into our Blinds and Drapery Showroom, you will see that we stand out from the competition. You won’t get an unfriendly big-box store experience. Instead of providing a few products in bulk to all of our customers, we offer custom services that can be catered to match your individual needs. You will have the opportunity to talk to an experienced designer who can help you transform your home with upgraded window coverings. Each of our team members is educated about the products and services that are offered. We have over 15 years of experience in the industry, giving you full access to a wide range of information about the manufacturing process. We are always happy to answer your questions and help you find the products that best meet your needs. Have you been thinking about new window coverings, but you can’t decide if it is the right time to make these upgrades in your home? Right now is a great time to learn more about the options that are available. You are always invited to talk to our team at Blinds and Drapery Showroom. We are here to answer your questions and help you find the products that will be a good match for your preferences. Our customers enjoy a long list of benefits when they choose the high-quality products that we provide. We want to be sure that you are completely satisfied with your purchase, so we will work hard to help you find the products that best meet your needs.